The Durham Gala and Big Meeting 2016. The 132nd Durham Miners’ Gala takes place on Saturday 9th July 2016. 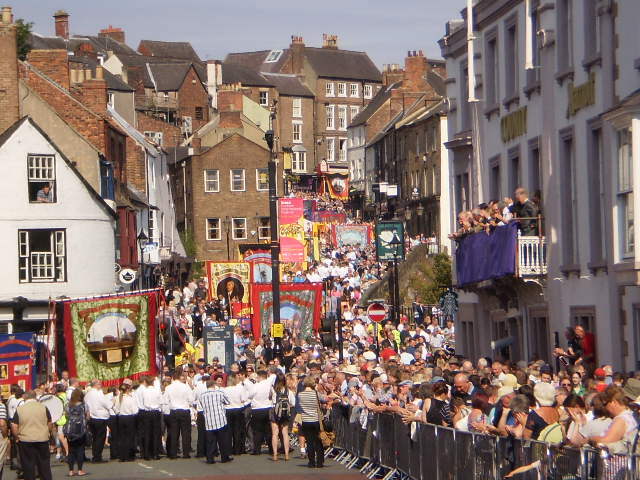 It embraces a huge flowing march of village pit groups with miner and community banners and colliery bands, which winds its way through the ancient streets of Durham, past the County Hotel to the Racecourse for the Big Meeting. This colourful and friendly event is surely a reflection of the pride in the triumphs and tragedies of the past, a sounding board for the present spirit of the working class communities and provides inspiration for the idealism of a just and fair society in the future. The 2016 Gala begins about 8am and continues for 4/5 hours, followed by the Big Meeting where the assembled crowds will listen to various speakers including this year, the leader of the Labour Party, Jeremy Corbyn. The blessing of banners takes place also at Durham Cathedral in mid-afternoon, while there are numerous meetings, lectures, music and discussions in the days preceding the Gala itself. A visit to the Miners’ Hall and Parliament at Red Hill in the city gives one a deep appreciation of the struggles and solidarity of mining communities over many decades. The first Gala took place in 1871, among the Irish speakers have been Michael Davitt in 1893, Jim Larkin in 1914 and John Hume in 1995, when he joined Arthur Scargill, John Prescott and Dennis Skinner on the platform. Davitt spoke of his support for the eight-hour working day, while a fiery Larkin just before the Great War berated the union leaders of the time and in a prescient phrase of a darker echo of history described “how one section after another can be beaten, not by the employers, but by the enemy within your own camp” to describe disunity within trade union organisations. General Secretary of the Durham Miners’ Association, Dave Hopper attended the Spirit of Mother Jones summer school in 2015 where he presented the 2015 Mother Jones lecture and later gave an eye witness vivid account of the battle for Orgreave. President of Durham Miners’ Association, Alan Cummins also attended the Cork Mother Jones events in 2015. 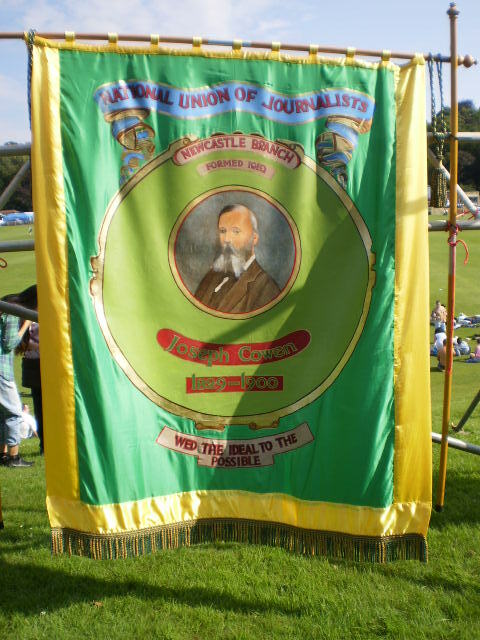 Read The Big Meeting – A History of the Durham Miners’ Gala by David Temple.